I'm really excited that my illustrated Fig & Grape Shake recipe is included in the latest cook book from They Draw And Cook! 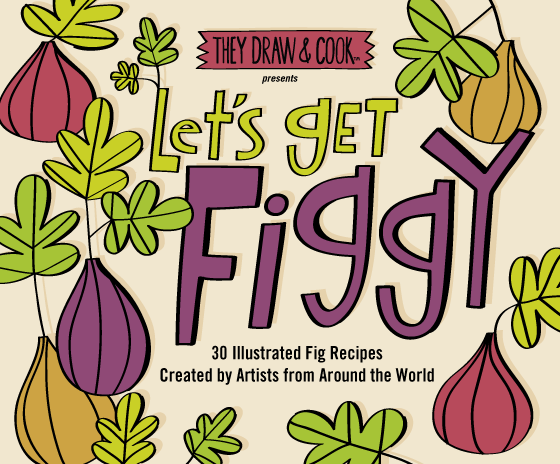 The book compiles 30 fig recipes created by 30 different artists. You can order a copy online here. I was away in British Columbia for most of July. So there's a couple things I haven't gotten around to blogging about. 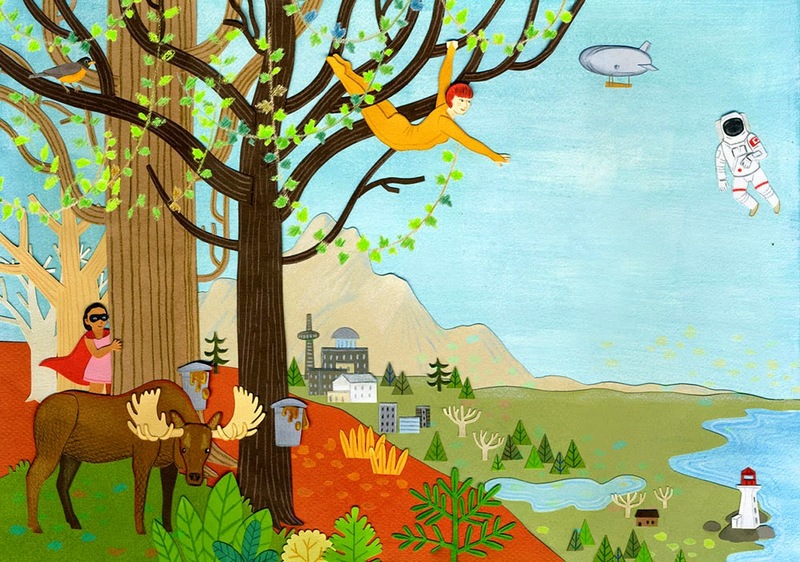 Such as, I illustrated a full spread for Reader's Digest! This was art directed by Annalise Dekker, who was really lovely to work with. I also wanted to share my sketch for the spread. I sketch by hand, but I love to shift things around when I scan it into Photoshop. I find it helps me a lot with sorting out a composition. This is the latest illustration I did for the August issue of Today's Parent Magazine! The debate is about whether or not you would buy your kids a trampoline. You can read it here. 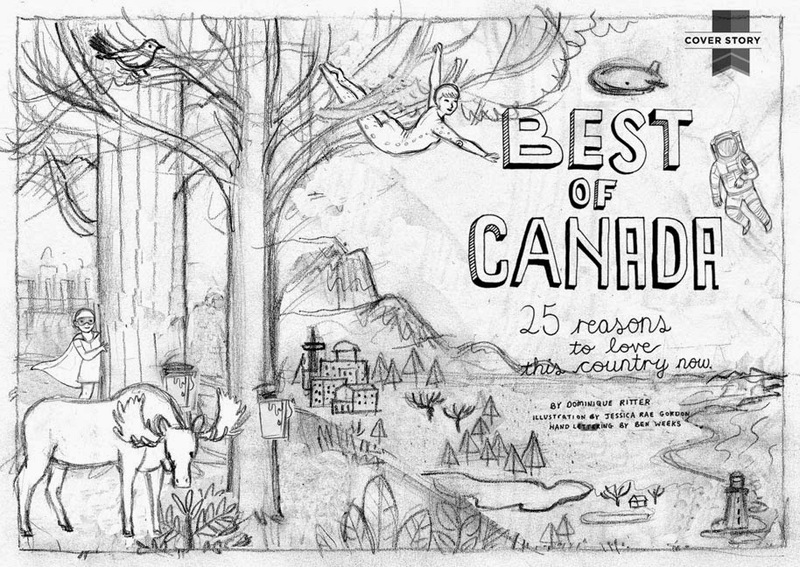 Thanks to Nicole Chung, who is always such a wonderful art director for these spots.